On January 19 1883 Thomas Edison’s first village electric lighting system using overhead wires began operation, a technological milestone that has long since been absorbed into ubiquity. The previous year had seen Edison establish the Edison Electric Light Station in central London but the subsequent adaptation, modification and deployment of energy generating technologies has yet to benefit everyone on the planet. According to the International Renewable Energy Agency (IRENA), there are around 1.3 billion people worldwide without electricity, a statistic that has spurred many to try and rectify the situation with ideas and solutions. One such individual is Helmut Engelbrecht, chief executive of URENCO, a significant supplier of enriched uranium to the civil nuclear power industry. This Wednesday, Engelbrecht is set to deliver a Royal Academy of Engineering View from the top lecture titled Energy for all – a new generation of nuclear power for a growing population. According to RAEng, Engelbrecht advocates the view that all people should have access to the basic essentials of life, one of which is affordable energy. Not surprisingly, Engelbrecht believes also that nuclear power presents a ‘secure, safe and affordable low carbon energy for the world’. Tickets for the lecture at RAEng’s premises in Carlton Terrace, London, cost £10 and registration is required. In October 2014, plans for Britain’s new nuclear fleet moved forward with the European Commission approving arrangements between EDF Group and the government for the construction of Hinkley Point C in Somerset. 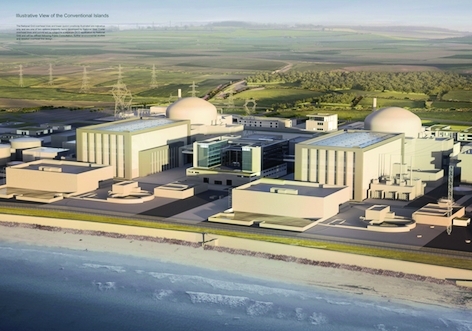 EDF plans also to build a twin EPR power station at Sizewell in Suffolk, and Hitachi-owned Horizon Energy is moving forward with its proposed Advanced Boiling Water Reactors at Oldbury and Wylfa. Looking much further forward, Canada’s Terrestrial Energy is collaborating with the US Department of Energy’s Oak Ridge National Laboratory (ORNL) to develop its molten salt reactor to the engineering blueprint stage. By 2020 the UK will have lost a quarter of its electricity generating capability and new nuclear will be nowhere near ready to help fill the gap left by the closure of coal, gas, nuclear and oil facilities. According to RenewableUK, 56 per cent of Britain’s gas and 79 per cent of its coal was imported in 2013. Gas supplies from shale reserves remain uncertain, although Lancashire County Council will have a big say on the burgeoning industry’s progress this month when it decides whether to allow Cuadrilla to drill, frack and test at two sites in Little Plumpton and Roseacre. Such slow progress and uncertainty has the renewables industry pointing to the progress it has made both home and abroad in ensuring energy security and cost benefits. Last week RenewableUK published details of a report from Cambridge Econometrics that showed how additional wind power would make Britain’s energy supply more resilient by cutting the cost of fossil fuel imports. The Cambridge Econometrics study found that in 2013, wind energy reduced the need to import coals by around 4.9 million tonnes and gas by 1.4 billion cubic metres. The RenewableUK website states: ‘wind energy generated enough power to meet the needs of 6.8 million homes in 2013, and it would have cost more that £579m to import the vast quantities of coal and gas displaced by wind’. In many territories, including Europe, onshore wind power is one of the most competitive sources of new electricity capacity available. Individual wind projects are consistently delivering electricity for $0.05 per kilowatt-hour (kWh) without financial support, compared to a range of $0.045 to 0.14/kWh for fossil-fuel power plants. The average cost of wind energy ranges from $0.06/kWh in China and Asia to $0.09/kWh in Africa. North America also has competitive wind projects, with an average cost of $0.07/kWh. Solar PV module prices have dropped 75 per cent since 2009 and continue to decrease. Residential solar PV systems are now as much as 70 per cent cheaper than in 2008. Between 2010 and 2014 the total installed costs of utility-scale solar PV systems fell by as much as 65 per cent. The most competitive utility-scale solar PV projects are delivering electricity for $0.08/kWh without financial support, and lower prices are possible with low financing costs. Their cost range in China, North America and South America has fallen within the range of fossil fuel-fired electricity. Solar power prices are dropping rapidly in the Middle East, with a recent tender in Dubai, UAE, falling to 0.06 USD/kWh. Those attending the World Future Energy Summit this week in the UAE will certainly be taking on the pertinent issues surrounding energy from a technological and economic viewpoint, such as on day three when the event’s Great Energy Debate asks: Gas and Renewables: Partners or Adversaries? Over 30,000 delegates from 170 different countries are expected to attend this week to discuss the future of energy, current issues that affect the energy production market and energy conservation. We know that energy remains an emotive subject so please let The Engineer know your position on the current and future energy mix below. It’s quite normal at this time of the year for HR departments to busy themselves with the task of asking employees which charity their company should support. Here’s a contender that will give people the opportunity to receive Formula 1 related incentives for the work they do for Wings for Life. Wings for Life was set up 10 years ago by two times world motocross champion Heinz Kinigadner and his friend Dietrich Mateschitz following Kinigadner’s son suffering a spinal cord injury following a motorbike accident. Wings for Life has the single aim of finding a cure for such injuries and is running a teambuilding project called the Wings for Life Formula One Challenge. The foundation has says it has partnered with Red Bull Racing to put on the Challenge which invites teams to fundraise throughout the year for Wings for Life (such as cake sales, running events, fancy dress, sweep steaks, holding an auction, having a ticketed dinner) and allows the chance to receive Infiniti Red Bull Racing Rewards in exchange for your efforts. 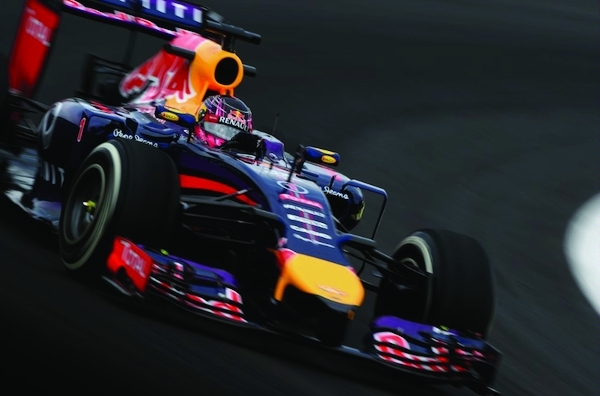 These rewards includes five invitations to attend a launch dinner in London with Team Principal Christian Horner before having the opportunity to win hosting an F1 show car in a location of your choice, attending the Silverstone Grand Prix and, come November, the chance to come along for a tour of the Red Bull Racing factory in Milton Keynes. End all windpower subsidies NOW! Even if wind and solar become competitive at some point we still need backup, which at the moment is Diesel generators so there seems to be more PR involvement in this than real engineering. Here is the reality. Nuclear won’t happen until they reform the CEGB. Wind will peak at 15% of the total and will require the same again in gas plant backup plus on-going huge pylon costs. Solar energy may make a dent in household supplies but not in cloudy UK. Current nuclear and coal plants will close by 2023 and only gas and interconnectors will be left – plus intermittent windmills that will have reached their end-of-life before reaching payback. We will thus all be forced to generate our own electricity. I dearly hope the free market can provide that capability with small SO fuel cells and we then may even double our efficiency from gas to kettle. So why is biomass burnt at Drax afforded a strike price under the CfD scheme of £125 per MWh. The highest price for any form of generation including Hinckley C at £105! Quite odd since Hinckley is a total new build and Drax is a boiler conversion. Maybe it’s because the Drax station operates at only 37% efficiency, and they waste two thirds of the wood fuel they import? And how does shale gas in the UK fit into our low carbon transition – the “bridge” as sometimes suggested. It can only lower our carbon emissions if burning it displaces other higher-carbon fuel, namely coal. But all of our coal power stations will be off-line (I hope) in the early 2020s, which is the earliest that volume shale gas might become available. So shale gas will substitute conventional natural gas for home heating and gas-powered generation, doing nothing at all to reduce emissions. What would be truly bad news is if shale gas power generation is ramped up at the expense of wind,marine and hydro power. Then the bridge would be taking us backwards. Robert is right. Burning biomass is the wrong approach and new gas-fired generation has already fallen foul of ‘market forces’, despite the government’s foolish efforts to promote it. IRENA points the way forward, but do we need to consider their figures in terms of “lies, damned lies and statistics”? As for URENCO – 60 years ago we heard promises of “power too cheap to meter”! Wind and solar are not the only renewables. Electricity can be generated from methane derived from pig farms and cattle farms (biogas), which can be stored and pushed into pipelines. Flammable gas can be derived from landfills. Large untapped resources are energy efficiency, city planning and networked logistics for people and goods. “smart” appliances at home can reduce the peak energy demand from households. Offices could be illuminated from daylight instead from artificial light. Teleworkers could work in communal offices and share office equipment, lighting and heating; resulting in less commuting and more time with their families, which has other benefits, too. Rebuilding whole buildings is not required. Refurbishing is the name. Light pipes can accept light through glass windows in the roof, then transmit the light in mirrored tubes and release the light downstairs in walkways, staircases, basements, far away from windows. Curtains could remain open during the day. Horizontal blinds could mirror incoming light towards the ceiling from where it would be reflected deep into the room, while those near the window are not blinded. Any missing light could be added by a control that is measuring the available light and just adds what is missing. All this technology is existing. In UK many homes still have chimneys. Instead of letting the hot air just out through them, they could be refitted with light tubes. Or with heat exchange ventilation, where the exhaust air gives the heat to the incoming air. This way homes get fresh air, and can be made airtight other wise to keep the warmth in, and not have humidity condense on cold surfaces, promoting the growth of mold and respiratory diseases. This way, passivhouses could be beneficial to the NHS, as well as the productivity of workers. There is other technology being worked on – solar cells on window blinds. Transparent solar cells acting as windows. Liquid chrystal windows that can be switched between opaque and transparent. Car parks could receive roofs covered with PV cells. In summer, cars wouldn’t heat up while parked, requiring less airconditioning. Covered walkways between buildings could be covered in PV cells. Any kind of roof or wall as well, as here the light in Winter comes in horizontally. Noise cancelling walls besides motorways could be issued with little wind turbines that transform the rushing air into electricity. As a noisy motorway increases the heart attack rate nearby, this would be also beneficial to NHS and productivity. As I said, there are opportunities. We should promote science and engineering in schools as todays kids will build all these energy harvesting technologies, and develop more of them. According to RenewableUK, we have 5,874 industrial wind turbines with a total capacity of 12GW (see http://www.renewableuk.com/en/renewable-energy/wind-energy/uk-wind-energy-database/index.cfm/page/2/ ). Where’s the other 11GW when we need it ?? We’ve paid £billions for these inappropriate & intermittent technology’s. The above comments are all very valid however, how on earth do you get all this past our elected representatives? With their reliance on the big, self promoting, “management advisors”, only THEIR interests will ever see the light of day. There needs to be a massive change in the way planning, government, both local and national, and our politicians ( who are mainly lawyers) approach this subject. Those of us of certain years have heard all of this before albeit with different technologies and where are we? Still no further forward. Comrade Bliar sat on power decision making until it was too late…..and very soon we will see the results….a few power cuts in South East England and London in particular would certainly focus attention! What’s the betting that power will be diverted from outside the area to ensure the south east is kept functioning?! We watch all this with great interest! Evidence? “. . . reached their end-of-life before reaching payback.” – Ditto. “Lies, damned lies and statistics.” – from the Renewable Energy Foundation, I expect? The REF makes the common mistake of obsessing about too little wind, when the real problem that we should address is too much wind. You have to pay for the fuel to run “flexible gas power”, whereas energy storage uses no fuel. In fact, it is saving energy that would otherwise go to waste. What’s not to like? If everybody had focussed on dealing with the curtailment problem, before the turn of the century, we wouldn’t be seeing any headlines describing “easy curtailment” as a “success” story!!! For example: If the Tories hadn’t squandered our oil and gas and created a private monopoly out of National Grid. . . . If Blair had given the go-ahead to new nuclear. . . . If the European Commission wasn’t staffed by ideologues who impose state-aid rules to wet-nurse corporations. (and negotiate the TTIP to reinforce their undemocratic ‘rights’.) – If only. . . The people have lost their rights. Put the Green Party in power. And given the problems I’ve had trying to send this, maybe a state-run communications industry would have updated UK infrastructure so that my broadband actually worked reliably at lower cost? Why would you need the permission of the state to offer something on the market, or to buy something from the market to be more energy efficient at home or in your business? Spain only stopped subsidising wind power – and actually taxed solar energy – due to being 31 billion in debt. The result has been stagnation & closures in the renewable energy industry plus a hefty financial burden for those early adopters. I’d just love it if wind and solar energy could stand on their own feet but the facts say different. Yes we need storage capacity but the technology you want exists only in never-never land! My 15% -on average- is a mere prediction and I’d be happy if it was wrong but so far it’s optimistic according to gridwatch. And what is your prediction of end-of life for windmills? Most folk say 15 to 20 years. Bearing that in mind, what did you imagine the payback period was at this level of subsidy? I’d bet you never even thought about it! Few people do! We don’t need a bunch of what ifs, hopes and dreams. We need people to face the reality of what can be done given the money and technology available and the markets we have just now and we need to ensure that we keep the lights on at reasonable cost because the pips are squeaking already. As for the Green Party I suggest you read their manifesto for a reality check: You’ll find they’ll be quite happy with an energy shortage because it will perforce reduce economic growth, which they seem to hate. Spain has 6GW of PHS, but – “Hydro reserves were offloaded before reaching bursting point, generating 31.6% of the electricity mix.” – so they wouldn’t be pumping more water into those reservoirs would they?! Curtailment was the only option. The transfer of public assets into private hands is responsible for the country’s failure to invest in infrastructure. The £2bn annual profit of National Grid alone would fund all the R&D and new network build if it were wisely re-invested. That money came from consumer’s pockets; it wasn’t borrowed from a bank. Why did they ignore my ‘technology fix’? Primarily because privatisation laws preclude National Grid from owning or operating generating capacity, and energy storage is defined as generation. The measures required “to ensure that we keep the lights on at reasonable cost.” could have been pushed through easily – by Blair authorising state-owned new nuclear build fifteen years ago! The EU wouldn’t allow it? So, take your complaints to them. “The conventional view serves to protect us from the painful job of thinking.” So, all too often – “Faced with the choice between changing one’s mind and proving that there is no need to do so, almost everyone gets busy on the proof.” – J. K. Galbraith. On a macro-economic level too, it is a simple choice between the circular economy or an evidently unsustainable consumption of the Earth’s resources. That’s the true reality check. I actually agree with much of what you say but you are howling at the wind. I guess when the lights go out here we should persuade all our pensioners to head for Spain and install solar panels. Meantime those that remain will have to generate their own electricity. You should dream that the free market brings us a greener means to do that. I much prefer the expression “a voice in the wilderness” – Google: John Houbolt LOR. “Houbolt protested LOR’s exclusion from the NASA debate”. I protest the exclusion of the Bristol Channel Barrage and BGES from the debate and I will keep on protesting, regardless of what anyone else says, because it needs to be said. “Do we want to go to the moon or not?” Do we NEED to get off fossil fuels or not? It’s a very, very simple question, but a rather more complicated answer. If the answer is contrary to the interests of the wealthy 1% then humanity has a far bigger problem than going to the moon.